The Lord is keeping His promises because He loves all of us and He wants to show us that he is faithful and that He is the Lord of all nations. Most Arabic Moslems do not have the Bible and do not understand God’s plan for Israel. They fail to see that they are apposing the Lord, and their cause is hopeless. Arabic people who call themselves Palestinians and Arabic Nations tried to prevent the exodus of Jewish people from the former Soviet Union. 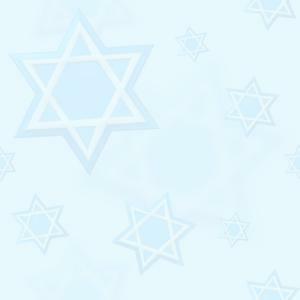 They appealed to the UN, to Russia, to the USA and other countries to stop the movement of Jewish people from the North. Arabic Leaders have tried (and still trying) to prevent the Jewish people from settling in the Mountains of Israel – the heart of the homeland given to them by the Lord. They want the world to force Israel to give the mountains of Israel to them for a second Palestinian State. Yet in Ezekiel the Lord tells us about His plan for the mountains of Israel. Israel will return and possess them. He will multiply the Jewish people and bless them in the mountains of Israel (West Bank). He warns Arab Nations not to covet the Land that He had promised Israel. Well meaning Christian and Jewish people, with an incomplete knowledge of the Bible and God’s plan for Israel, encourage Palestinians to claim Israel’s land. They unknowingly lead Arabic people to sin against God, and they bring themselves under condemnation by opposing the will of God. The Lord provided a map to help us through this time. This is the second time He brought large numbers of the descendants of Israel into the Holy Land. The first time they came from slavery in Egypt. The exodus from Egypt is like a road map that shows us the meaning of events today. This road map includes the strange story of a talking donkey. 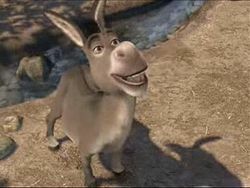 Why did the Lord cause a donkey to speak? Balaam’s donkey appeals to children and tends to be one part of the Bible that everyone remembers. Did the Lord make this story memorable for some reason? Did He plan some important event in which the lessons of this story would be vitally important? Yes! The great Exodus that is happening today is like the story of Balaam. During the first Exodus, as Israel prepared to enter the Promised Land, the tribes of Moab and Midian tried to stop them by asking a powerful man to intervene against Israel. They appealed to Balaam, a seer from Mesopotamia. The king of Moab wanted to stop the children of Israel from settling in the mountains of Israel. He had a plan Numbers 22:24. He would send the delegation to hire Balaam a man of great power, to curse Israel. The King of Moab said to Balaam, “… I know that whom you bless is blessed, and he whom you curse is cursed.” Numbers 22:6 The king reasoned that, if Balaam would curse Israel, Moab might beat them in battle and drive them out of the land. BUT, the king did not realize that it was the Lord that was bringing Israel into the Holy Land. In trying to stop the return of Israel, the King of Moab was opposing the Lord! When Balaam left his country to meet the king of Moab, the Lord’s anger was aroused. The angel of the Lord with a large sword in his hand blocked Balaam’s path. Balaam did not see the angel of the Lord, but when Balaam’s donkey saw the angel he walked off the path. Balaam struck the donkey! Then the angel of the Lord stood in a narrow place in the road with a wall on both sides. The donkey pushed herself against the wall, crushing Balaam’s foot. Balaam struck the donkey again. Then the angel of the Lord stood in a narrow place to pass and when the donkey saw the angel blocking her way, she laid down under Balaam. Balaam then struck the donkey a third time. In our day Israel is returning to the Land. Like the King of Moab in the time of Balaam, leaders of the PLO and today’s Arabic Nations including Jordan, (where ancient Moab was located) want to weaken Israel so that they can drive them out of the Holy Land. These leaders believe that if they can cause the powerful men of today to turn against Israel, Israel will be forced out of the mountains of Israel. The Leaders of America and other Western Nations are the powerful men of today. Arab Leaders complain to the Western Leaders about Israel. They want the Western Leaders to stop the Jewish immigration into Israel and to force Israel to give the so called “West Bank” (land set aside by the Lord) to the descendants of Esau, Ishmael and Moab. The Lord promised to settle the Jewish people in the mountains of Israel. Yet, the Leaders of the Arab nations insist that Jewish settlements in the mountains of Israel are the cause of unrest in the Middle East. The Lord is acting according to His Word and the Arab nations are apposing Him. Many people (even some Jewish and Christian people), who are unaware about the prophecies about the West Bank have been led into opposing God by the clever arguments of Arab, Islamic Leaders. Leaders of America, other Western Nations, and the United Nations are like Balaam. Islamic Leaders want to use them to weaken Israel. The Western Leaders do not understand the consequences of opposing the return of the Jewish people to the mountains of Israel. To them it is a political problem with economic rewards. Like Balaam they do not see the angel of the Lord in the path. Balaam was saved from death by his donkey! Her actions made Balaam notice the angel of the Lord in his path. If Western Nations blunder into opposition with God, they will find that they are as helpless as Balaam before the angel of the Lord. They need to be warned. The donkey gave her master a bumpy ride until Balaam woke up and saw the danger. Who will give this warning now? If Western political leaders are the Balaam’s of today, then who is Balaam’s donkey? Who is able to see the angel of the Lord standing in the path? Who recognises that the Lord Himself is bringing about the return of Israel to the Holy Land? Balaam did not have the Bible, but we do. We can know that the Lord has ordained Jewish settlements in the “West Bank” or as we better know this to be Judea and Samaria. Those who believe the Bible can give warning to the leaders of Western Nations. They can speak out to warn the Balaam’s of today about the danger ahead. Will the Western leaders listen to Balaam’s donkey? Western leaders ride on public opinion. Like a man riding on a donkey in the desert these powerful leaders cannot survive for long if the ignore public opinion. If Jewish and Christian voices rise up together shouting a warning, American leaders would notice the angel of the Lord and the dangers ahead. Most Arabic people do not know that if they oppose the Jewish re-settlement of the Holy Land is to oppose the will of the Lord. They cannot see that they are setting themselves against the Lord. Sadly most of them are unaware of Ezekiel 35 and the consequences of trying to destroy Israel. What can us as believers do? We must NOT encourage the Arabic people to oppose the will of the Lord as they do not know the great danger that they are in. Today people identifying themselves as Arabic, occupy 5 million square miles (500 times more than Israel) in the Middle East, across the ancient homelands of Ishmael, Edom, Moab, Midian, Ammon, Teman and across North Africa. God has blessed the Arabic people with fabulous wealth in oil. He has blessed them and yet they insist on trying to take away the tiny land of Israel. Most Arabic people are Moslems practicing a religion called Islam. Moslems dominate the Arab countries. Most Arab leaders who try to destroy Israel are Moslems and many terrorist organizations have come out of this group. When God makes a promise, we can be sure that He will keep it. Some ministers teach that Jewish people must actively seek the Lord before they can return to the Land. They point out that many Jewish people in Israel are not living holy lives and some are even atheists. Other Jewish and Christian leaders teach that the Jewish State and the return of Israel to the land is proof beyond a doubt of the Lord’s power and faithfulness to keep His promises. Must Jewish people be righteous, before the Lord keeps His promise to bring them home? This question is answered in the last 22 verses of Ezekiel chapter 36. Since millions of Jewish people have returned to the Land and since miracles allowed the State of Israel to survive several wars, it is becoming increasingly harder to argue that these things have happened by accident. Because the Jewish people were exiled from their Land, the people of the nations mistakenly assumed that the Lord had rejected them forever, or that Israel’s God was not strong enough to protect them. The nations ignored God’s promises and His power. To ignore His promises or to believe that the Lord cannot or will not keep his promises is to profane God’s Name. (Ezekiel 36: 21) and He is not bringing Israel back because they deserve it but for His Holy Name’s sake (Vs 22 and Vs 32).The Lord wants everyone to know that He is Lord. He is gathering the Jewish people out of the nations to prove that He is Lord; After Israel is back in the Land, God will; …sprinkle clean water on them (Vs. 25)… give them a new heart (Vs. 26)… put His Spirit in them (Vs. 27). God has warned through the Prophet Obadiah that He will judge a nation as it deals with Israel. If a nation tries to divide the covenant land and Jerusalem, that nation can expect severe judgment including the division of its own nation. America is again attempting to divide the covenant land. The last time was August 2005 and Gaza. This time it is the Mountains of Israel and Jerusalem. Hurricane Katrina coincided with Gaza. If Hurricane Katrina was a gauge, what magnitude of judgment is in store for even attempting to divide Judea, Samaria, Jerusalem and the Mountains of Israel! It is time for the Church to rise up in prayer, fasting and repentance. It is time to stand with the nation of Israel against dividing God's covenant land. Why is the nation of Israel (the size of the Kruger National Park in South Africa) on the front page of the world’s newspapers every day? Because God’s word prophecies that this would be the case. Satan attempts to destroy God's Holy Word and agenda… Read on! To be blessed by God, one needs to bless Israel! If America and nations desire to be blessed, it must bless Israel, the Apple of God's eye! We love the Arab people as does God, but the land of Israel belongs to Israel, period. God's word declares to the world that any action or thought that promotes removal of any portion of land from the nation of Israel or any foreign invasion or foreign rule is contrary to the very Word of God and those perpetrators will be cursed by God and suffer His wrath as stated in Genesis 12! According to His Word, the Lord set aside a Land for Himself. To demonstrate His power to the Nations, He brought Israel into the Land with signs and wonders. When Israel came from Egypt, before they entered the land, the Lord revealed that the children of Israel would be scattered among the nations. He said that the land would become desolate. But He promised that the desolate land would bloom again when Israel returned. These promises were written thousands of years ago. Later the Lord told of a time when He would bring an exodus from the North that would be greater than the exodus from Egypt. He promised to settle the children of Israel in Judea and Samaria (West bank). The Lord is faithfully keeping His promises. Israel was scattered and the land did become desolate… and Israel is returning. The desert is blooming… Jewish settlements are springing up in the mountains of Israel. The truth of the Bible is truth beyond doubt. Israel’s return brings the truth of the Koran into question. Since the day of Israel’s birth, Islamic Arab forces have tried to destroy Israel. In 1948, 1956, 1967, 1973, even in the latest intifada’s (uprisings); and war in Lebanon with Hezbollah; and war in Gaza. Islamic forces banded together to push Israel into the sea. Israel survived and captured additional land. Only with the help of the Lord could Israel have won against such powerful enemies. Yet Islamic Arab leaders do not accept the Lord’s power and authority to set aside a land for His special purposes. During the 1948 war when Judea and Samaria (so called West Bank) were uprooted by the Arab forces of Jordan, Jewish towns and villages were destroyed. Everything Jewish was destroyed or taken over; synagogues, homes, businesses, hospitals and schools. During the siege, Arabic forces destroyed 34 Synagogues in the Old City. The Jordanians took the Mountains of Israel as their possession. Arab leaders thought that Judea and Samaria was given to them to consume. But, in 1967, when Jewish forces recaptured Judea and Samaria (so called West Bank), 100’s of 1,000’s of Arabic people were allowed to stay in Judea and Samaria. The Dome of the Rock and other Moslem places of worship survived the war. This is a significant difference. The PLO and Palestinians ignore the Lord’s Word and the miraculous return of Israel to the Land. In 1988, they claimed the mountains of Israel as an Arabic State, naming Jerusalem as its capital. In claiming the land given to Israel by the Lord, PLO leaders have set themselves against God. To reject the Lord’s Word is to reject the Lord. It is to call the Lord a liar and this is blasphemy! This issue is a measuring line, which determines who accepts God and who rejects Him. Over the years there were many boastings against Israel. In spite of the survival of Israel such Arab boastings did not stop and still continue today. In these end of times, God has a mighty plan for Israel and Jerusalem that will bring all nations together to worship the "One True God", the living God of Israel! Yeshua Himself will fight in the last battle around Jerusalem and after His victory all the Nations will come to this New Jerusalem to worship the God of Israel and God will be with them... (Revelations 21:2 – 3)That’s why there is a constant battle and struggle over Jerusalem and Israel. The enemy knows God’s plan and through lies and deceit Satan will try to foil the scriptures and the Fathers plans but he cannot as he is powerless. This is the very reason we are commanded in Psalms 122:6 “Pray for the peace of Jerusalem. May all who love this city prosper” You can make a difference today and stand in the gap and pray for the Peace of Jerusalem and Israel. It is “OUR” inheritance! Israel is God's time clock!